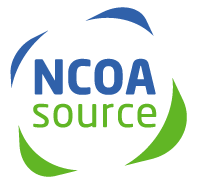 Your return data format will match the format of the data you uploaded for processing, appended with the NCOA fields. For example, if you upload an Excel file, your return data will be Excel; if you upload a tab-delimited format, your return data will be tab-delimited. Output includes everything from standard append format, plus: Line of Travel Information, LOT Sortation Number, full DPV Footnotes, State/County FIPS codes, Address Status Mailing Recommendations, Query Name Match, NDI Affirmed APT, SuiteLink Match Flag, and Address Type Indicator. F = Corrected secondary address data. J = Failure to match last line of address. Could not validate the city name, state and ZIP code on this address. This address cannot be correctly processed by automated equipment and may be undeliverable. K = Multiple match in primary address field. Address matched to more than one address record. K1 = Multiple match due to missing or incorrect direction(s). K2 = Multiple match due to missing or incorrect suffix. L = Multiple match in secondary address field. Possible reason is missing or incorrect secondary descriptor (e.g. "SUITE", "APARTMENT", "ROOM", etc). Note: Apartment buildings can have deliveries to Suite 1 and Apartment 1. M1 = Missing Street Number. M2 = Address not found. This address cannot be processed correctly on automated equipment and may be undeliverable. M3 = No such Primary Number exists. M4 = Firm Name not matched. N1 = Missing Secondary Address Number. Missing Secondary Address Number in a multiple-ZIP + 4-coded building. N2 = Secondary Number not found. P1 = Missing Rural Route or Highway Contract Box Number. This address was identified as a Rural or Highway Contract delivery but it did not contain a box number. This address cannot be processed correctly on automated equipment and may be undeliverable. P2 = Rural Route or Highway Contract Box Number not on file. Q1 = Missing PO Box Number. Q2 = PO Box Number not found. Y = Address was DPV confirmed for both the Primary and (if present) Secondary Numbers. S = Address was DPV confirmed for the Primary Number only, and Secondary Number information was present. D = Address was DPV confirmed for the Primary Number only, and Secondary Number information was missing. N = Both Primary and (if present) Secondary Number information failed to DPV confirm. (blank) = Address not presented to DPV for processing. Input (client) address primary number matched to DPV but the secondary number did not match. Secondary number present but invalid. Input (client) address primary number matched to DPV but the address is missing the secondary number. Input (client) address is missing Primary or Street Number (ex. house number). Input (client) address has invalid Primary or Street Number (ex. house number). Input (client) address missing PO, Rural Route, or Highway Contract Box Number. Address was identified as a Rural or Highway Contract delivery but it did not contain a box number. This address cannot be processed correctly on automated equipment and may be undeliverable. Input address matched to a CMRA and PMB designator present (PMB123 or #123). Input address matched to a CMRA but PMB designator missing (PMB123 or #123). Input (client) address has invalid an PO, Rural Route, or Highway Contract Box Number. A - COA Match - The input record matched to a COA record. A new address could be furnished. 00 - No Match - The input record COULD NOT BE matched to a COA record. A new address could not be furnished. 01 - Found COA: Foreign Move - The input record matched to a COA record but the new address was outside USPS delivery area. 02 - Found COA: Moved Left No Address (MLNA) - The input record matched to a COA record, but the new address was not provided to USPS. 03 - Found COA: Box Closed No Order (BCNO) - The Input record matched to a COA record containing an old address of PO BOX, which has been closed without a forwarding address provided. 04 - Cannot match COA: Street Address with Secondary - In the STANDARD mode utilizing Family matching logic the input record was a potential match to a family type COA record with an old address that contained secondary information. The input record does not contain secondary information. The record is a ZIP + 4 street level match. This address match situation requires individual name matching logic to obtain a match and individual names do not match. 05 - Found COA: New 11-digit DPBC is Ambiguous - The input record matched to a COA record. The new address on the COA record could not be converted to a deliverable address because the DPBC represents more than one delivery point. 06 - Cannot Match COA: Conflicting Directions: Middle Name Related - There is more than one COA record for the match algorithm and the middle names or initials on the COAs are different. Therefore, a single match result could not be determined. 07 - Cannot Match COA: Conflicting Directions: Gender Related - There is more than one COA record for the match algorithm and the genders of the names on the COAs are different. Therefore, a single match result could not be determined. 08 - Cannot Match COA: Other Conflicting Instructions - The input record was a potential match to two COA records. The two records were compared and due to differences in the new addresses, a match could not be made. 09 - Cannot Match COA: High-rise Default - The input record was a potential match to a family COA record from a High-rise address ZIP + 4 coded to the building default. This address match situation requires individual name matching logic to obtain a match and individual names do not match. 10 - Cannot Match COA: Rural Default - The input record was a potential match to a family COA record from a Rural Route or Highway Contract Route address ZIP + 4 coded to the route default. This address situation requires individual name matching logic to obtain a match and individual names do not match. 11 - Cannot Match COA: Individual Match: Insufficient COA Name for Match - There is a COA record with the same surname and address but there is insufficient first/middle name information on the COA record to produce a match using individual matching logic. 12 - Cannot Match COA: Middle Name Test Failed - The input record was a potential match to a COA record. A match cannot be made because the input name contains a conflict with the middle name or initials on the COA record. 13 - Cannot Match COA: Gender Test Failed - The input record was a potential match to a COA record. A match cannot be made because the gender of the name on the input record conflicts with the gender of the name on the COA record. 14 - Found COA: New Address Would Not Convert at Run Time - The input record matched to a COA record. The new address could not be converted to a deliverable address. 15 - Cannot Match COA: Individual Name Insufficient - The input record was a potential match to a COA record that contains a first initial and middle initial/name [ex. C M Smith or C Mary Smith]. A match cannot be made because the input middle initial/name is missing or does not equal the middle initial/name on the COA. 16 - Cannot Match COA: Secondary Number Discrepancy - The input record was a potential match to a street level COA record. However, a match is prohibited based on one of the following reasons: 1) There is conflicting secondary information on the input and COA record; 2) the input record contained secondary information and matched to a family record that does not contain secondary information. In item 2, this address match situation requires individual name matching logic to obtain a COA match and individual names do not match. 17 - Cannot Match COA: Other Insufficient Name - The input record was a potential match to a COA record that contains a full first name and full middle name. The input middle initial/name is missing or different from the middle name on the COA. A match cannot be made because the first name on the COA was truncated (drop-n flag) and the middle names must be equal in order to make this match. 18 - Cannot Match COA: General Delivery - The input record was a potential match to a COA record from a General Delivery address. This address situation requires individual name matching logic to obtain a match and individual names do not match. 19 - Found COA: New Address not ZIP + 4 coded or New address primary number not DPV confirmable - There is a change of address on file but the new address cannot be ZIP + 4 coded and therefore there is no 11-digit DPBC to store or return, or the new address primary number cannot be confirmed on DPV. 20 - Cannot Match COA: Conflicting Directions after re-chaining - Multiple COA records were potential matches to the input record. The COA records contained different new addresses and a single match result could not be determined. 66 - Daily Delete - The input record matched to a business, individual or family type COA record with an old address that is present in the daily delete file. The presence of an address in the daily delete file means that a COA record with this address is pending deletion from the COA master file and that no mail may be forwarded from this address. 91 - COA Match: Secondary Number dropped from COA - The input record matched to a COA record. The COA record had a secondary number and the input address did not. 92 - COA Match: Secondary Number Dropped from input address - The input record matched to a COA record. The input record had a secondary number and the COA record did not. The record is a ZIP + 4 street level match. SuiteLink is a USPS database containing business addressing information specifically identified as high-rise default records as a result of CASS processing. SuiteLink will append the secondary (suite) information to a business address providing the input address is determined to be a high-rise default record. The SuiteLink product enables customers to provide improved business addressing by adding known secondary (suite) information to business addresses. Business address improved. The input record matched to a record in the master file. An improved business address is provided. Business address not improved. The input record COULD NOT BE matched to a record in the master file. An improved business address could not be furnished. Is new address from NCOA a PO Box? 3 = Match exactly on (State / PFN / Phonetic Street / Phonetic Surname). Surnames match exactly. First six characters of street name match exactly. Given names match (allowing initials and nicknames). 4 = Match exactly on (State / PFN / Phonetic Surname). Surnames match exactly. Given names match (initials are not allowed). 5 = Match exactly on (State / PFN / Phonetic Street / Phonetic Surname). Surnames match exactly. First six characters of street name match exactly. 6-7 Weak Matches - If it is important that you have the correct name do not call these numbers. 6 = Match exactly on (State / PFN / Phonetic Surname). Surnames match exactly. Given names match (allowing initials and nicknames). What does it mean if I have a Y in the New Address field? It means a match was made during NCOA processing and a new address has been identified. You will see the new address information for that particular record in the MailTo fields. MRT field stands for Mail Return field...if I have a Y in that field, should I delete the record? Deleting the record is up to you, of course, but do not mail to that address. You'll most likely be wasting postage. Are there any new addresses in the data that are not indicated by a Y in New Address field? Yes. If you see 'E' in the field Zip4Updates, this means that there is a corrected version of your input address. You will find the new address in the standard Mailto address fields. How can I tell whether a given move was an individual, family or business move? The NCOA Move Type field will tell you this. For individual moves you will see an 'I', for family moves 'F', and for business moves 'B'. What matching criteria is used to determine what type of match is made? For individual moves, a perfect name/address match must be made. For family moves, last name and address need to match. For business moves, a match is made on business or firm name and input address. With cleaner input data and better quality addresses, will I see see better NCOA results? Yes. The better the data input data, the better the results. Assisting in this, the first thing we do with your input data is scrub it, standardize it, and perform robust hygiene to improve NCOA matching. **Mailability Score Index The below scores describe the accuracy and overall 'mailability' of the address, using information from all hygiene services that were applied during processing. Score 1. - Accurate, Mailable Addresses. These records are DPV confirmed and possess the necessary elements for potential delivery. These should be considered highly deliverable. 1A A change of address. A new address has been supplied by NCOALink. Use the new address to update the record. 1B Obsolete. Now coded as 2F. 1C DPV confirmed. Deliverable as long as the name of the addressee is correct. 1D Obsolete. Now coded as 2G. 1E Obsolete. Now coded as 2H. 1F DPV confirmed. A CMRA (Commercial Mail Receiving Agency) address that includes a PMB (Private Mail Box) number. Deliverable or forwardable by the CMRA as long as the name of the addressee is correct. 1G An address has been converted by LACSLink and is DPV confirmed. 1H DPV confirmed in a Unique ZIP CodeTM or a Military ZIP Code. In each case, the USPS delivers mail to a central point (a company, a university mail room, a military Post OfficeTM), but final delivery to individual addresses (a specific building, department, or individual) is handled by employees within the organization. Score 2 - Probably Deliverable. These records are DPV confirmed, but may face additional challenges in delivery due to seasonality or general delivery. 2A Obsolete. Now coded as 4B or 4C. 2B Obsolete. Now coded as 4B. 2C General Delivery Addresses or a DSF2 delivery point drop. Final delivery is probably dependent on building manager. 2D This is a High Rise address. The primary address (street information) is verified by DPV, but secondary data (apartment or suite) is missing or incorrect. Address is not within a major metro area, so it is probably deliverable without the secondary data. 2E Address is a CMRA but it does not have a PMB number. 2F A new address has been supplied by NCOALink and has been DPV confirmed and the new "move to" address is a seasonal address. This score may indicate a "snowbird" or someone who routinely moves between two addresses. 2G An address has been converted by LACSLink and has been DPV confirmed and the converted address is a seasonal address. This score may indicate a "snowbird" or someone who routinely moves between two addresses. 2H Address does not have a ZIP + 4 code or any postal coding, but it is a known address. This is new construction or renovation that is "new to the file." Current postal files don't yet contain delivery point information (ZIP + 4 code, carrier route, etc.) for this address, so it won't qualify for postage discounts. The address will be coded in subsequent updates, probably within the next 30 days. Score 3 - Might Be Deliverable. Some percentage of these records won't be delivered. If cost control is a priority, or if your message is personal or confidential, then you should bypass these records. But some records will be deliverable, so if you want to expand your mailing universe and can tolerate some risk, you may decide to mail some portion of these records. 3A Obsolete October 2008. Now coded 4D. 3B This is a High Rise address. The primary address (street information) is verified by DPV, but secondary data (apartment or suite) is missing or incorrect. The address is within a major metro area, and so mail may not get delivered without the secondary data. 3C DPV confirmed. The address and surname are very similar to a record on the NCOALink database, but differences in either the first name or the middle name prevent a match; therefore, a forwarding address can not be supplied. 3E Obsolete October 2008. Now coded 3C. 3F DPV confirmed. The primary address and name are very similar to a record on the NCOALink database, but some part of the secondary address data did not match; therefore, a forwarding address can not be supplied. 3G This address is obsolete. It has been updated by the LACSLink product, but LACSLink processing is unable to provide the converted address. Score 4 -- Probably Undeliverable. Unless you have confirmation that this address is deliverable (e.g. from the addressee or from prior mailings), you should bypass these records. 4B This address cannot be ZIP + 4 coded. It has a valid 5-digit ZIP Code, and is in a single ZIP� city, so there is some possibility that the carrier may be able to determine the delivery address. 4C This address cannot be ZIP + 4 coded. It has a valid 5-digit ZIP Code, but it is in a multi-ZIP city (or the city type can't be determined), so it is unlikely that the carrier can determine the delivery address. 4D This is an accurate street-and-number address, but a PO Box address is necessary for delivery. This address is not located within a delivery area for any postal carrier. The addressee must receive all mail at a PO Box. Postal workers may be unable to deliver mail pieces that do not carry the PO Box address. Score 5 - Undeliverable -- Do Not Mail. Suppress these records from mailings and suspend or delete from databases. 5A The addressee has moved and the record cannot be updated by the NCOALink product. The addressee is either a foreign move, box closed, moved and left no forwarding address, or the new address can not be DPV verified. 5B The ZIP Code is missing or invalid. Address errors or deficiencies prevent it from getting a correct 5-digit ZIP Code. 5C Identified by the DSF2 product as vacant. Note: Not all records identified by the DSF2 product as vacant are scored as 5C. If the NCOALink product provides a COA with an Effective Date within 4 months it is assigned 1A.